Wood Letters and Dimes! (Or pennies.) 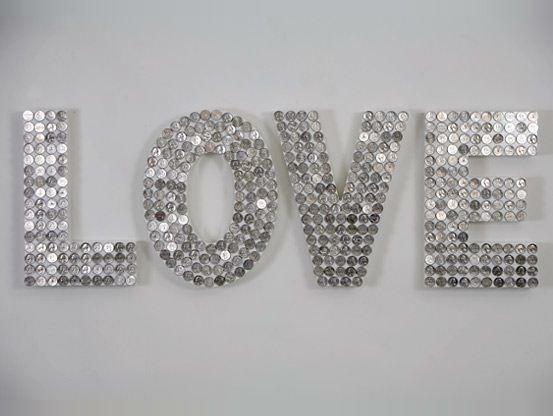 Could also do foam-core letters and big sequins. Bit cheaper and lighter.